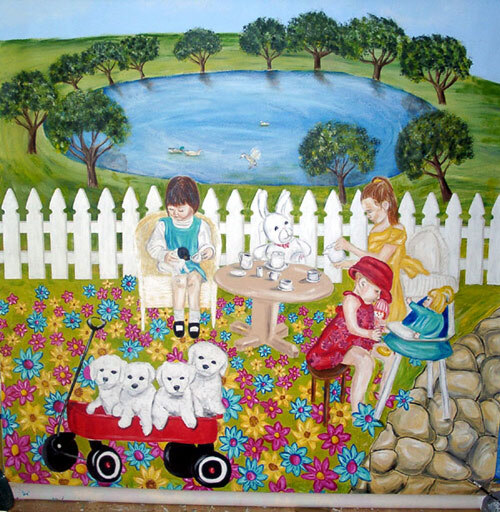 All Kids Murals - Tea Party Mural - 3 girls, one playing with a puppy, one feeding her baby doll and one with a bunny. There is also a dog and a bunny. Tea Party Mural - 3 girls, one playing with a puppy, one feeding her baby doll and one with a bunny. There is also a dog and a bunny.